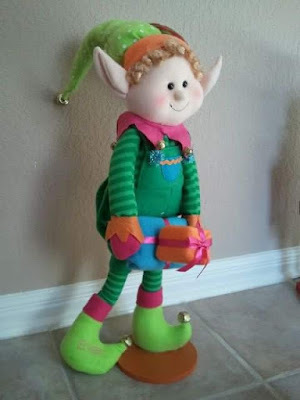 "I can't find the Christmas elf," Gloria said. "What?" I asked, clearly alarmed. "Maybe I threw it away when I cleaned house last summer," she said. "Throw away Evan the Inappropriate Elf? Impossible!" I said. "He's a treasured part of the Family Christmas Experience!" "I thought the headless reindeer was the treasured part," she said. "He is! But Evan is irreplaceable," I said. "How many elves have ever put a gift box over their crotch?" "I must have it somewhere," she said. "Maybe I didn't throw it away." "I certainly hope not," I said. "Keep looking!" If you see him, please contact me immediately.